Tuba 60 is the whopper of our subwoofer line, and not just by dint of its size. Like in the familiar fast food slogan you can build your Tuba 60 'your way'. Or you can build a 60 x 30 x 15 inch 'Slim' version loaded with a single LAB 12: The low profile of the 1x12 allows placement in front of or even beneath stages, and when it's time to pack up optional built-in wheels and handles make the T60 its own hand truck. 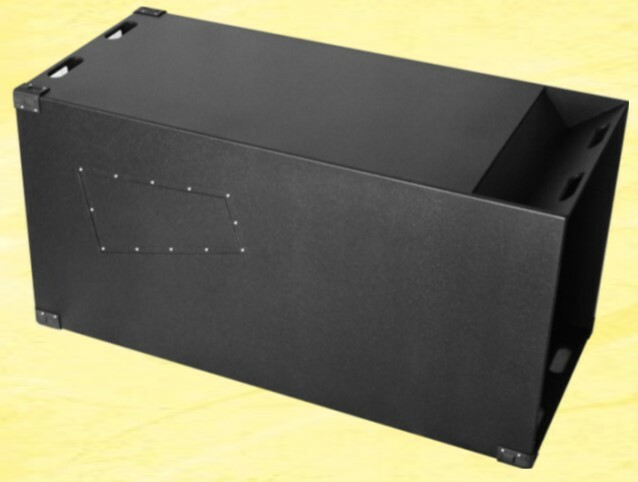 What's most important is that you can build this pro-touring concert sound capable sub woofer for as little as about $400 and get performance that is the equal of commercial subs retailing for up to ten times the price. Plans are $14.95, delivered within 24 hours as email attachment in MS Word format. 22 Pages, 41 diagrams. PDF available on request.